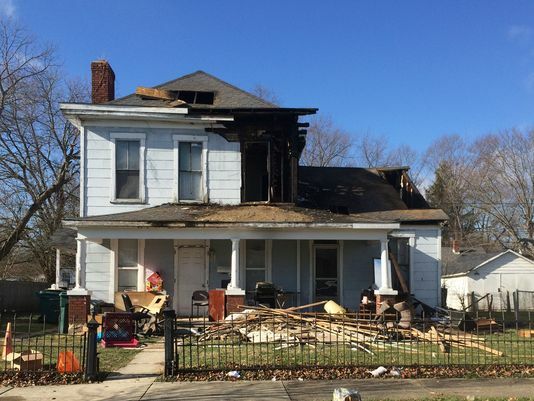 What calls for special attention is that overheated electrical wiring caused a New Year’s Day fire in Richmond. The January 1 afternoon fire in the 1200 block of Ridge Street displaced two families living in the upstairs and downstairs rentals. The Red Cross provided provisions and lodging to the families, depending on Richmond Fire Department Battalion Chief Jeff Glenn. RFD‘s incident report estimates damage at $40,000 to the building owned by Kyle Tom and at $10,000 for the contents. Fortunately, there were no injuries. Firefighters responded at 4:07 p.m. The fire remained on the scene until 7:12 p.m. Heavy smoke was showing from the second floor when firefighters arrived, according to Glenn. Smoke was pouring out of eaves on all sides of the two-story building, with fire visible in the eaves on one side. Mike Davis, RFD’s chief of fire prevention, ruled the fire accidental. He said the fire originated in the area of overheated electrical wiring between the first and second stories. He said heavy electrical loading and the age of the wiring contributed to the fire. The fire spread into an attic space, the walls and a second-floor attic, Davis said. The building’s construction type and the necessity of digging into walls and ceilings hampered RFD’s efforts to extinguish the fire, he said.